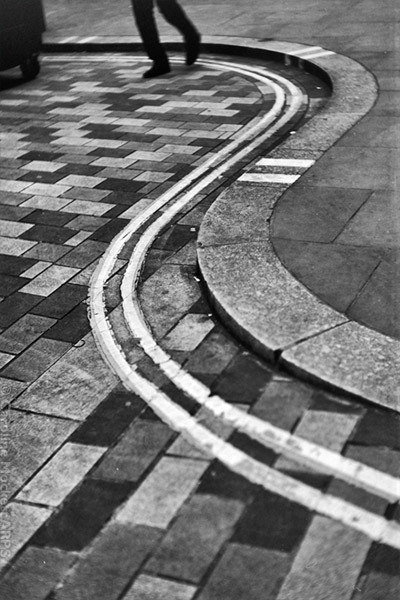 Notes: The sinuous curve of these double yellow lines around the pavement caught my attention while I was shooting in London today. I just waited for some feet to come into the frame to complete the picture. 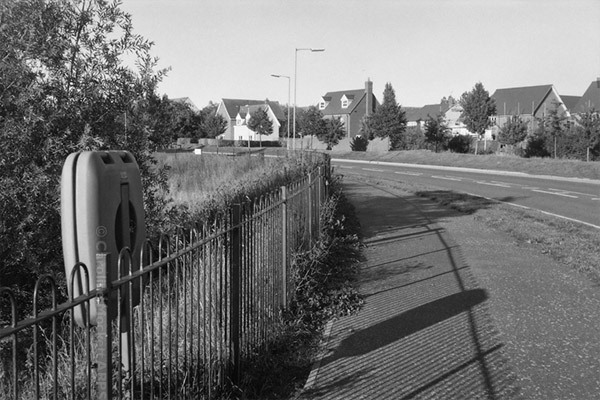 Notes: The sun came out for a bit today, while I was running errands in Shoeburyness. 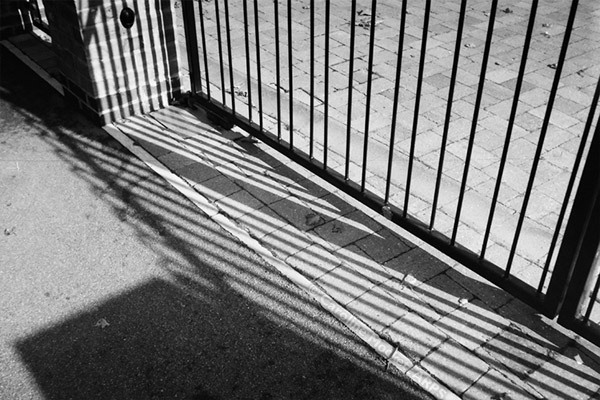 These gates made striking shadows on the pavement. Perfect for Treasure Hunt Theme #10 – Monthly Project – October. 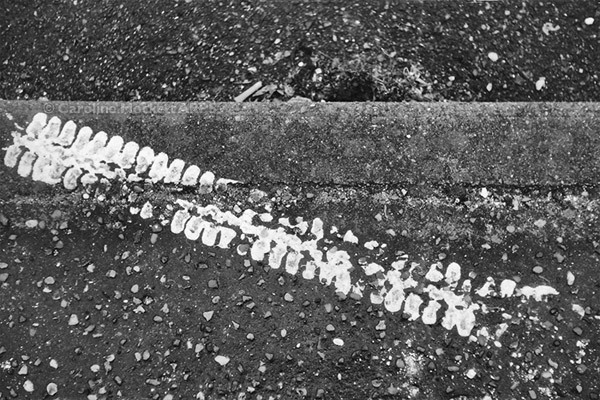 Notes: I spotted this evidence of a spill on the pavement, and enjoyed the fact that someone had ridden their bike through the puddle, producing this track. Notes: The long shadows on the pavement attracted my attention here. Notes: A wet day in Billericay, umbrellas at the ready. 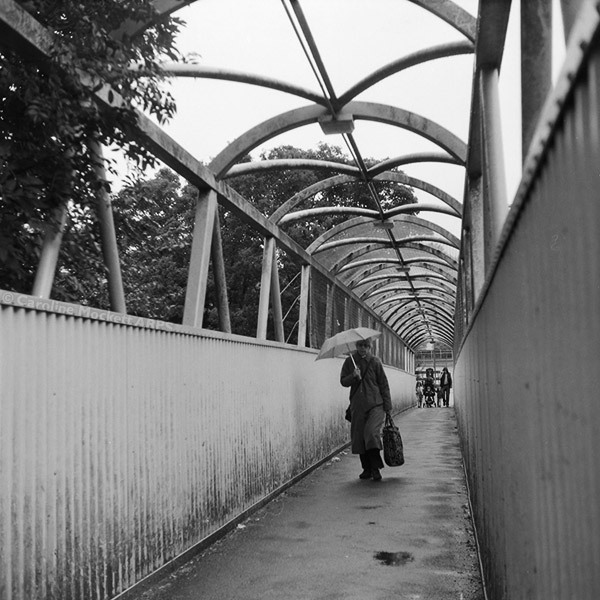 The footbridge over the railway. The scene is set. 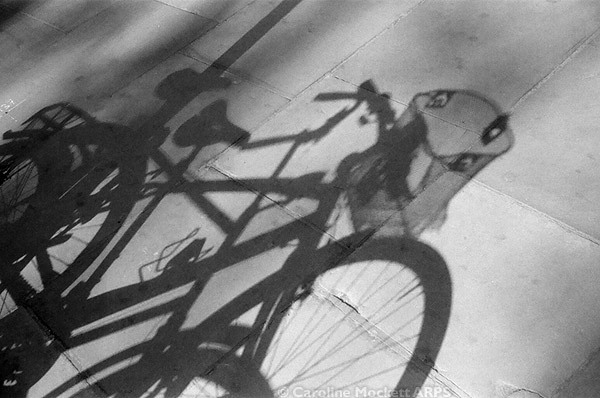 Notes: A morning walk from Liverpool Street to Moorgate meant I fond this shadow on the pavement in Finsbury Circus. 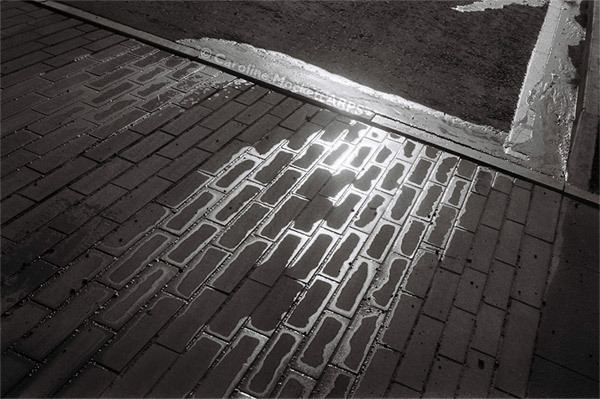 Notes: A drain was overflowing in the street, normally an annoyance but today, with the addition of some sunshine, the flow provided some great patterns on the block paving.